Ornaments can be costly. It just depends on what you are trying to beautify or decorate. Most people will agree that an ornament costing £1000, equivalent to $1500, is too costly to place on a shelf in a living room. An ornament can be described as any additional detail added to an object, interior, or architectural structure, which serves no purpose other than to make it more interesting, arresting, or beautiful. In other words, an ornament is a decoration, something used to beautify by adding more value to something other than itself. While we beautify our surroundings, which is not wrong, we should prioritize beautifying our hearts. Likewise, ye wives, be in subjection to your own husbands; that, if any obey not the word, they also may without the word be won by the conversation of the wives; 2While they behold your chaste conversation coupled with fear. 3Whose adorning let it not be that outward adorning of plaiting the hair, and of wearing of gold, or of putting on of apparel; 4But let it be the hidden man of the heart, in that which is not corruptible, even the ornament of a meek and quiet spirit, which is in the sight of God of great price. While this scripture is speaking to women who are dealing with their respective husbands, it is safe to say that the application of having a meek and quiet spirit applies to all. According to Numbers 12: 3 (KJV), Moses was the meekest man on all the earth in his time. 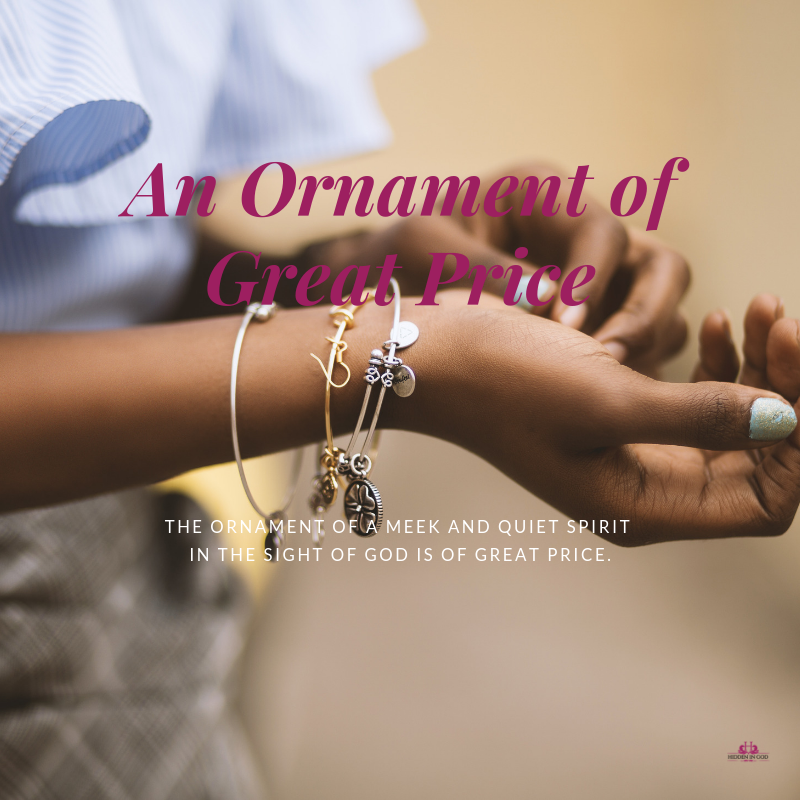 The Bible further indicates the ornament of a meek and quiet spirit in the sight of God is of great price. Wow! What a treasure it must be to have what is of great value in the sight of the Lord. Is it not worth our investment to have what is of great price to God? 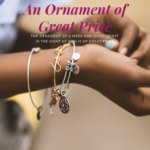 Let us pursue this ornament of great price! It has to be put on; it cannot be picked up from the supermarket. The journey of life will always provide us with opportunities to develop this great virtue, which in the sight of the Lord, is of great price. His grace is sufficient for us and it can be done.